MMSN is organising a series of training sessions in tertiary healthcare facilities across the country to build capacity for cryptococcal screening and treatment. The training which is sponsored by the Centre for Disease Control (CDC), Atlanta, Georgia, has been delivered in Ekiti, Jos and, most recently , Lagos. Seven other institutions will benefit from this arrangement before the end of 2018. 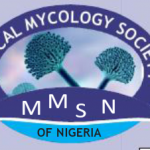 The training activities are in line with the overarching mission of MMSN which is to improve awareness of invasive fungal infections and to advocate for the mainstreaming of diagnostics and drugs necessary for the management of these infections in the Nigerian healthcare system.